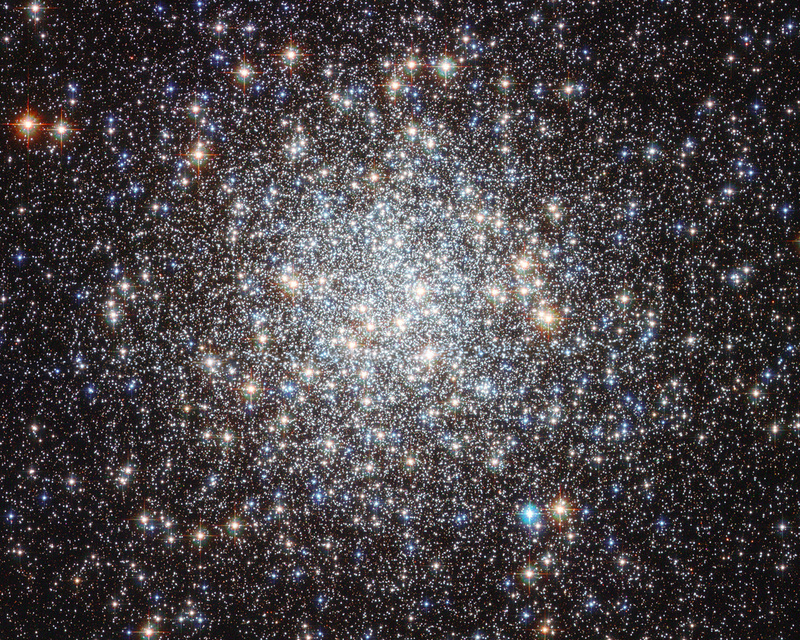 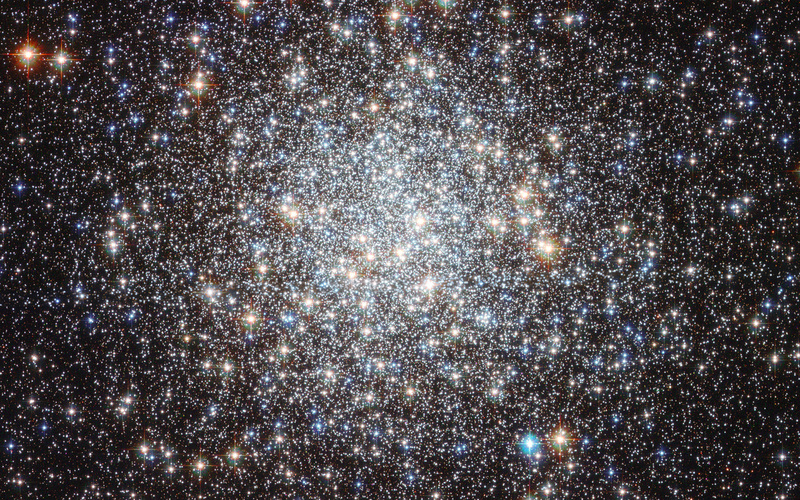 This image from the NASA/ESA Hubble Space Telescope shows the globular cluster Messier 9. 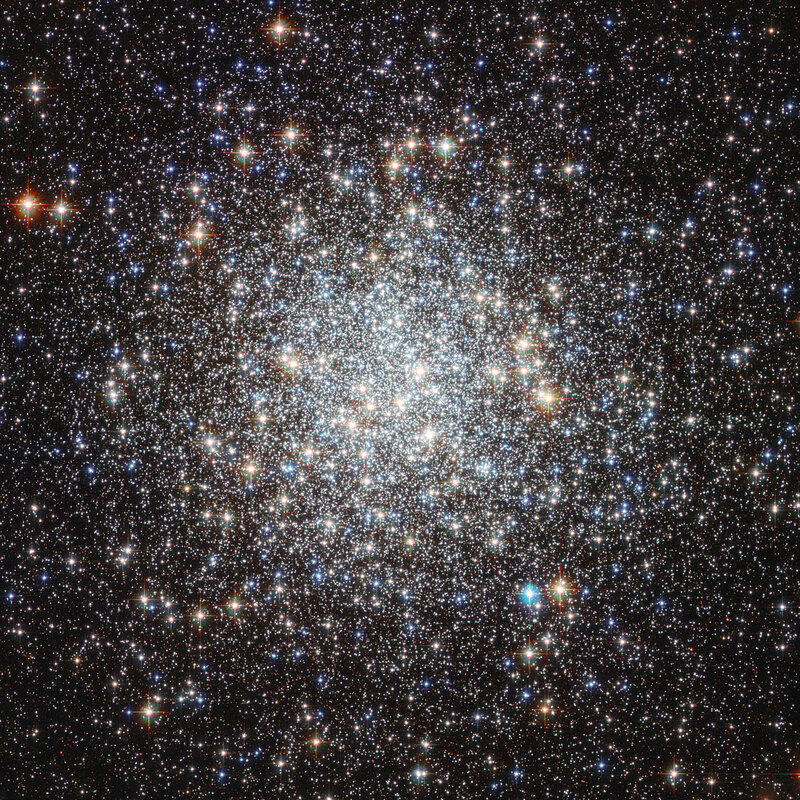 Hubble’s image resolves stars right into the centre of the cluster, and clearly shows they have different colours. 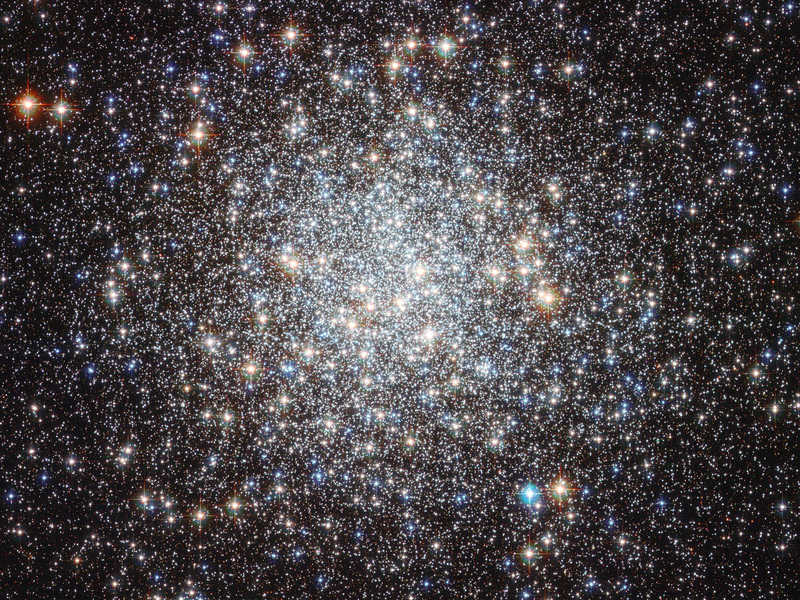 Redder colours signify lower surface temperatures, while blue stars are extremely hot. Position (Dec): -18° 30' 57.55"